Clearway Gritting is a leading road gritting company based in Hertfordshire that has been providing trusted and reliable snow clearance and road gritting services to both the public and private sectors since 2003. Much of our success is based on very careful and detailed planning and preparation before the colder weather sets in. Here we look at the some of the planning we go through in order to deliver the level of gritting services our clients have come to expect. Clearway Gritting is a road gritting and snow clearance company that understands the need for investment in order to maintain a trusted and reliable gritting service. As a result, we have recently purchased a number of new gritting vehicles to help support our growing road and car park gritting services. These new additions include 2 trailed Vale spreaders and 1 new Econ lorry. These join our new JCB loader to form part of a truly resilient array of equipment at our disposal. 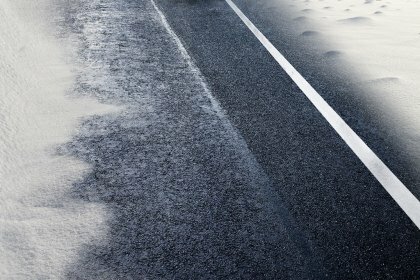 In the months leading up to the winter gritting season, we are proactively negotiating with the best suppliers for gritting salt to ensure our stock levels are at the levels we need for the entire season, plus a strong contingency quantity to cover prolonged periods of cold weather that can be difficult to predict. We pride ourselves on being able to fully meet all our clients gritting requirements throughout the winter season. We have been closely monitoring the weather predictions across the regions we cover and factor these in to our overall winter gritting strategy. A good example of this is that we have been monitoring the status of the El Nino weather pattern in the Equatorial Pacific as this is a known influencer of the winter weather patterns across the UK. As part of the preparations we will be contacting both current and potential clients to help them prepare their forthcoming winter gritting requirements. We are pleased to say that our preparations are progressing well and we will be ready well in advance of the onset of the cold weather. If you are in your planning stages and would like to benefit from our services over the coming winter season, please contact us and we’ll be happy to put a plan in place for you.